Fans of the Diana Gabaldon’s Outlander book series know that Jamie (Sam Heughan) and Claire (Caitriona Balfe) reunite in a print shop in Voyager, the third book of the series and the one upon which Outlander S3 is based. Since the star-crossed lovers were cruelly separated at the end of S2, fans have been hoping series executive producer Ronald D. Moore would include the emotional print shop scene in the new season, which is currently filming in Scotland. 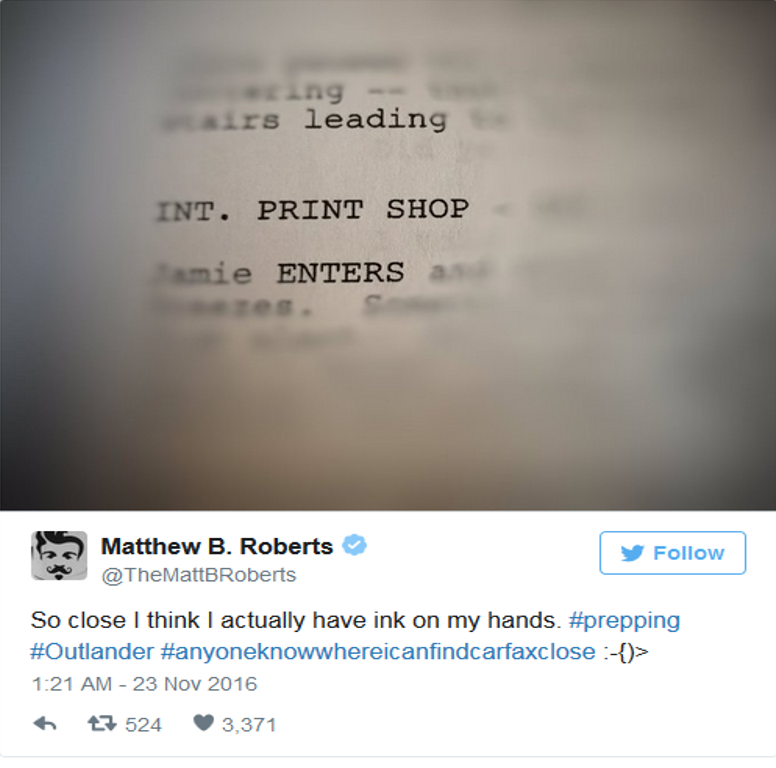 The good news is that Outlander co-executive producer Matthew B. Roberts recently teased a photo of a script with the print shop interlude on Twitter.